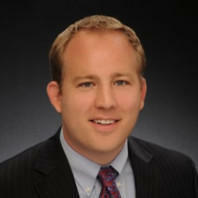 Justin is the managing partner and founder of Sanctuary Title. Prior to Sanctuary Title he worked for a large multi-site residential & commercial title company handling 30-40 closings per month, creatively resolving challenges and bringing files to close. Before that Justin worked as a Director of Business Development for a 15 million+SF office REIT. He holds his JD from the University of Maryland School of Law and his MBA from the University of Baltimore School of Business. "We were selling our property and already had a neighbor who wanted to buy but didn't know where to start. Justin sat down with us and talked us through the entire process - from drafting a strong simple contract all parties could agree on, to being the escrow agent and making sure all money was held and the property transferred properly. Plus we saved a ton of money by not having to market the property on the open market. A+++ all around!" "Justin helped us draft a robust and well thought out operating agreement for our new partnership. As a new business, we had a ton of questions and Justin went out of his way to explain everything in terms that we could understand. We will definitely use Justin again as our business grows." -Own and operate a commercial and residential title company. -Started title company from the ground up – including licensing, insuring, filing, marketing, website building, social media, leasing, etc. -Conduct settlements and insure the title to the property being transferred. -Draft deeds, trusts, powers of attorney, corporation documents, signing resolutions, contracts etc. -Review the sales contract entered into between the parties for any discrepancies, review the title report and prepare the title commitment. -Resolve title curative issues, conduct the closing, and issue the title insurance policy. -Draft deeds, trusts, powers of attorney, corporation documents, signing resolutions, etc. -Create and manage projects from idea through design, construction and lease up (e.g. coptworks.com). -Translate business intelligence into strategies and tactics to effectively grow business. -Create and develop partnerships with industry leaders, government organizations, trade organizations and on-base groups to further COPT missions.